Encouraged by their amazing comeback less than 24 hours ago, Spahija's squad wanted to keep their preseason momentum going in the OPAP tournament, the yellows were the more focused squad in the first half but the greens completed their comeback in the third quarter as they claimed the 87:81 win. O'Bryant scored 26P. 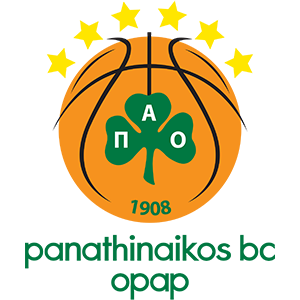 Coach Spahija's starting five: Pargo, Kane, Avdija, Caloiaro and Tyus. Kane connected with a tremendous pass by Caloiaro for a thunderous dunk to give the yellow's the early lead. Pargo and Tyus continued Maccabi's dunking fast to an 8:2 lead three minutes into the game. Caloiaro's free throw kept Maccabi'ssix point lead (10:4) as the first quarter reached its halfway mark. Thomas and Lojeski brought Pao back to within a striking distance (14:11), Langford gave Pao the 21:22 edge but Ray had the final say in the first as Maccabi finishes ahead 23:22. Lojeski opened the second quarter with five points to give Pao the 27:24 lead, Ray and O'Bryant completed a 5:0 run as the yellows take back the lead three minutes into the second quarter (29:27). Langford brought Pao close to the yellows again but Avdija scored his three free throws to keep Pao at bay; Pargo increased Maccabi's lead to 37:31. Pargo increased Maccabi's lead to 45:37 with just over a minute remaining in the first quarter, Thomas completed a 4:0 run but Tyus' jumper gave Maccabi the 49:41 lead at halftime. Pao started the second quarter with a 10:1 run forcing coach Spahija to call for a timeout (50:51), Lojeski increased Pao's lead to 52:58 with 03:30 remaining in the third quarter. Johnny entered the game and scored five points to bring Maccabi closer to the greens (63:60) as the third quarter came to an end. Gist scored for Pao at the beginning of the fourth but Johnny answered with a three point play (65:63). Gist and Pappas increased Pao's lead to 71:67. Pargo's free throws kept Maccabi close to Pao (75:70) with just over five minutes remaining in the game. Langford made it 78:70 but Pargo and O'Bryant reacted with five points (78:75) forcing coach Pascual to call for a timeout. Kane tied the game but Lasme and Langford made sure that Pao will remain ahead 82:78 with just over 01:30 remaining in the game. Lojeski made the shooter's play count from distance (85:78) as he made sure the yellows wouldn't come back. The greens prevail 87:81.